The adornment of aircraft reached unparalleled levels during the Second World War. The drab repetitive rows of machines that left the aircraft factories in the United States did not remain so after their arrival in the theatres of war. Leggy ladies, home states, animals, caricatures, and every type of lucky symbol all became subjects of the aircraft nose-artist’s brush. Couple these artistic representations with the inevitable “name” that airmen gave their aircraft and each airplane became a distinctly personal thing. Once personalized, the aircraft would never be simply a tool to the men who flew it; the aircraft and the fliers would ever after share identity. 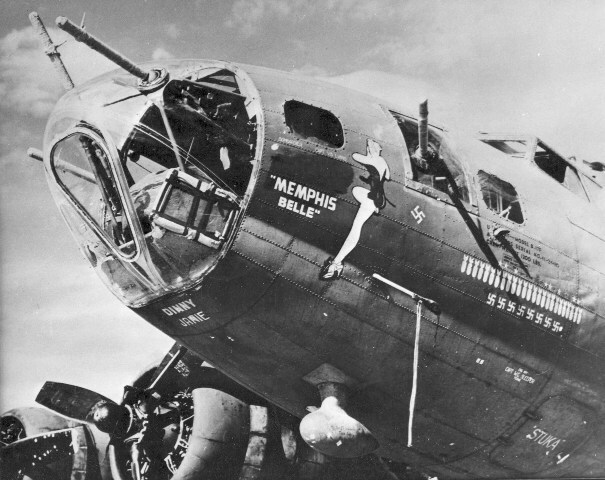 Paralleling aircraft nose-art during the war was its direct by-product, painted flight jackets. For want of a better term, this “jacket-art” became as popular as nose-art. 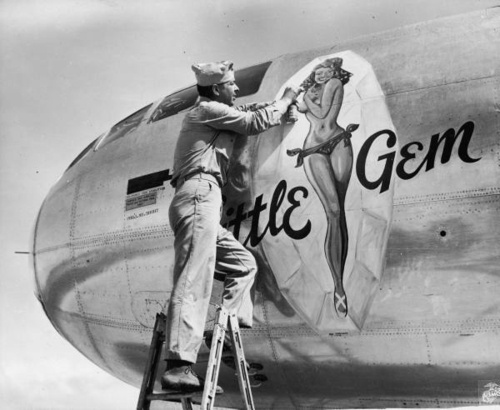 Given the obvious relationship between the two, however, it is apparent that the same desire for individuality that prompted a man to decorate his airplane would encourage him to decorate his jacket. Humans strive for individuality, and this striving for an identity is keenest under circumstances when it is discouraged, as in a war. Every man is uniformly clothed, every man is a part of a team, but every man wants to distinguish himself from his peers in some way. 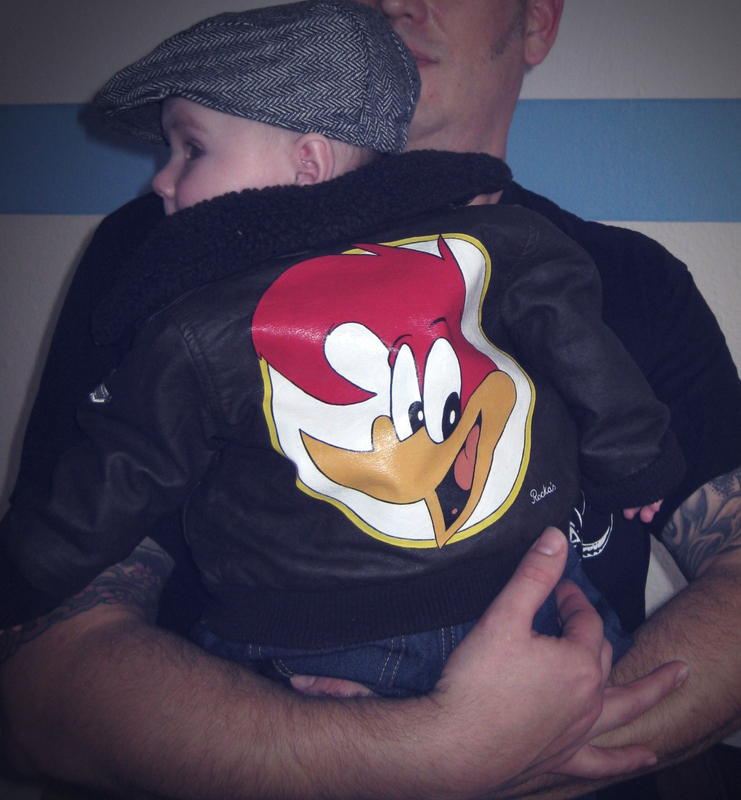 What better way to set oneself apart, yet still be a team member, than to wear some distinctive art on one’s jacket? The jackets conferred individuality as well as pride in service to the wearer. Some commanding officers frowned on the practice, but a majority seemed to tolerate it. Although Navy and Marine regulations largely ruled out the morale-boosting artwork, many Army Air Force units in war zones decorated the noses of their aircraft with vivid cartoonish images that carried American popular culture into foreign skies – wholesome childhood icons like Elmer Fudd, Woody Woodpecker, and Mickey Mouse. More often, however, the subject matter of these enthusiastic amateur artists was a pretty, shapely girl – the epitome of the sweethearts and sirens the boys had left behind. The idealized girl-next-door mooned over by GIs was largely a Hollywood creation, courtesy of the publicity machines of the major movie studios. Most female stars – even such dignified ones as Barbara Stanwyck, Jean Arthur, and Loretta Young – posed in swimsuits and low-cut gowns in pin-up poses nationally distributed to magazines and newspapers, as well as to various overseas service-oriented publications. The beautiful actresses of Hollywood popularized not only by their films but the studio publicity machines – enjoyed a symbiotic relationship with the great pin-up calender artists of the day. Just as the artists drew upon clip files of photographic pin-ups from magazines and newspapers, the actresses and those who shaped their images were influenced by the idealizations of American beauties as filtered through the artistry of a legion of “girlie” artists. Hollywood and commercial illustration weren’t the only sources for the dream-girls-next-door of the World War II GI. American fighting men had not long before been boys who grew up on the great comic strips of the 1930s. Two of their favorite cartoonists noted for fashioning fantastic funny-page females provided pin-up inspiration. Sources: From the books “FOR THE BOYS” by Max Allan Collins, published by Collectors Press and “AMERICAN FLIGHT JACKETS, AIRMEN & AIRCRAFT” by Jon A. Maguire & John P. Conway, published by Schiffer Publishing Ltd.